University Program Board is proud to present the Annual Fall Concert featuring Big Gigantic! You won't want to miss this special Chapman tradition on Friday, September 14th! The City National Grove of Anaheim’s doors open at 9:00 pm. Get your tickets now for the biggest concert of the year! Big Gigantic established themselves as pioneers of live electronic music with the band's inception in 2008. Now, almost 10 years later, they continue to shape the genre by moving it forward with each new release. The Colorado-based saxophonist/producer Dominic Lalli and drummer Jeremy Salken, are veterans of blending electronic dance music with their live instruments to create Big G's truly unique sound, that is as thoughtful as it is danceable. Big Gigantic mixes musically mature melodies with addictive beats and samples, that are familiar to a Kanye West or LCD Soundsystem single, and crosses all styles of music from jazz to hip hop, funk to dubstep. Over the years, the band has cemented themselves as a must see act on the US festival circuit, having performed at every major festival including: Coachella, Lollapalooza, Ultra Music Festival, Hangout, Austin City Limits, Governors Ball, Electric Forest, Outside Lands, and Bonnaroo. 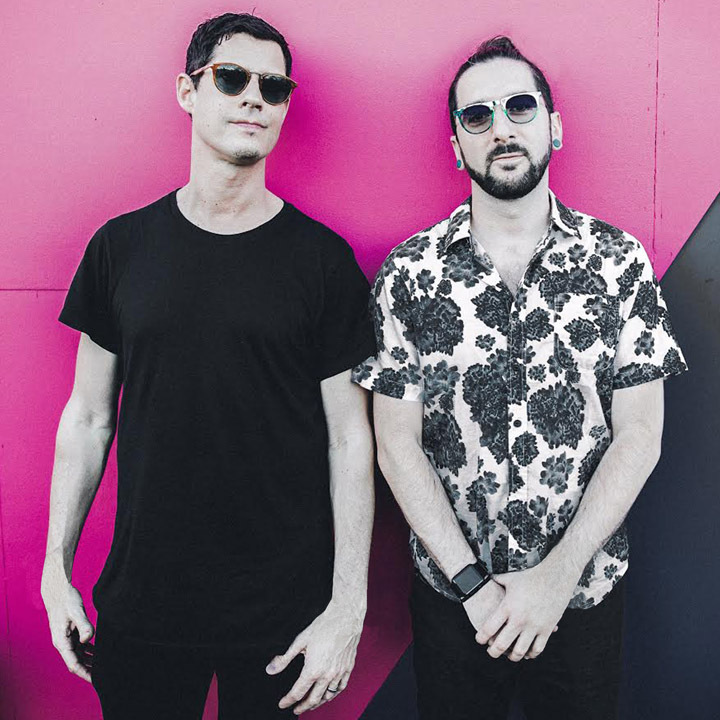 Big Gigantic have released five full length studio albums to date and three recent singles that have taken the band to new heights including "Get On Up" (2015), "Good Times Roll" w. GRiZ (2016), and "The Little Things" feat. Angela McCluskey (2016). The latter has landed sync placements everywhere from Fox's breakthrough show 'Empire' to ESPN's Wimbledon 2016; NBA coverage; and Apple's recent release of their new line of MacBook Pros. University Program Board strives to make all events open and accessible to everyone. Please contact upb@chapman.edu for accommodations and questions. For more information, visit Facebook.com/ChapmanUPB. For questions, email Lauren at upb@chapman.edu. Tickets are General Admission. Limit two tickets per student. ONLY Chapman Students may buy a ticket. Students are allowed to bring one non-student guest to the show. Government ID and Student ID required to enter The Grove. Doors open at 9:00 pm. FREE round-trip bus service departs from the Residence Life beginning at 8:00pm. Shuttles will depart every 20 minutes until 10:00pm. Please allow 60-90 minutes for shuttle transportation, security and check-in. Parking at The City National Grove of Anaheim is available for $12, but students are highly encouraged to take the shuttle. Waivers are required for all concert goers who take the bus shuttle.